The GE HL41 slimlines made since July 2012 got pretty interesting age marks. They look rather more silvery than black. Looks an awful lot like the way a 3-Plus used to age. The more things change the more they stay the same! 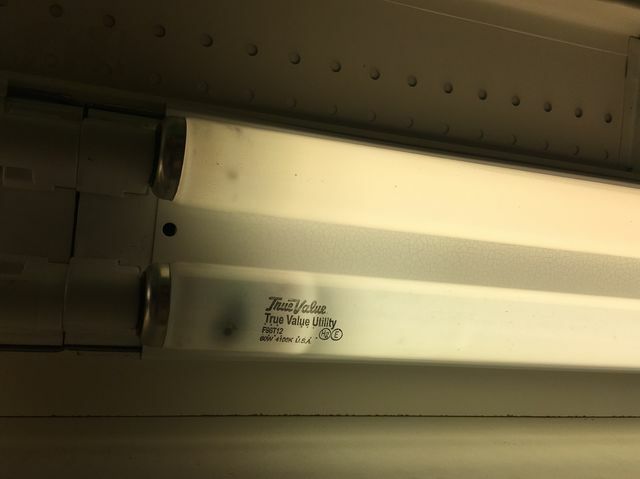 Are the store-brand lamps Philips made now? Yeah they are. I saw some in Florida. The last batch of True Value 40w GE made lamps I bought for work all went mercury starved! The "True Value Utility" GE-made C41 in disguise ones?